Approximately 20km from Kuala Lumpur’s city center, Subang Jaya is practically a city in itself with a little over 1.5 million people residing in its grasp. Filled with businesses as well as educational institutions, Subang is the central hub of working class and students alike, catering to both locals and foreigners in its melting pot of diversity. Offering a convenient one-stop destination for shopping, dining, and leisure, Subang Jaya is the place to be, thanks to a multitude of shopping malls, activity hubs and eateries. This is a great place to see students, young professionals and families at their cosmopolitan best, and is great for a good time. Start off your exploration with one of the biggest malls in Subang Jaya. 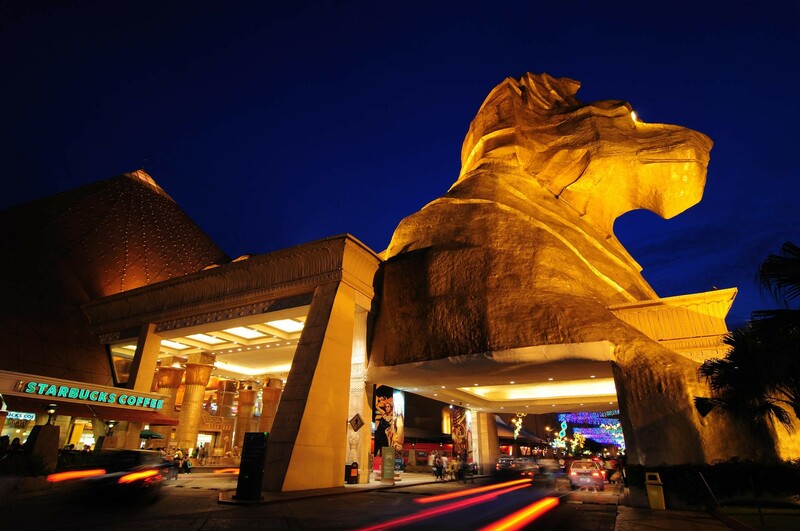 Easily recognized by the giant lion sphinx head at the front of the mall and its Egyptian inspired decor, Sunway Pyramid is one of the most popular malls within the Klang Valley. Begin your day by heading over to Delicious for brunch before you wander around the mall. Sunway Pyramid holds brands from across the price spectrum, catering to both higher-end and lower-end shoppers, carrying an array of brands. If you’re looking to do a little more than just shop, Sunway Pyramid’s popular ice skating rink is great for spending an hour or two wobbling across the ice. If you’re not up to skate, hit the competition-sized bowling alley or the archery store for a good fun-filled time. 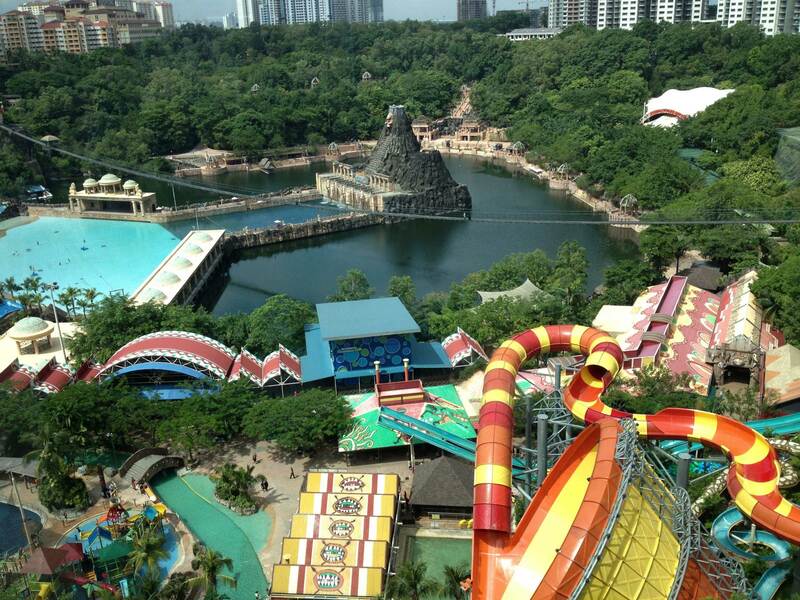 Just walking distance from Sunway Pyramid is the Sunway Lagoon Theme Park. Awarded as one of the best international theme parks in the world as well as the best attraction in Malaysia, Sunway Lagoon is great for spending some quality time as a family or hanging out with your friends. Sunway Lagoon is broken down into 5 different zones: Wet Park (water rides galore! ), Amusement Park (packed with roller coasters and dry rides), Petting Zoo (great fun and education for kids), Xtreme Park (for the adrenaline junkies) and Scream Park (be ready to be scared in the horror house! ), and is guaranteed an experience to remember. If you’re really keen on trying out all the rides in the theme park, it would be better if you allocated a whole day to truly enjoy your experience there. After a couple of hours being active and jumping around, make your way to the Caring Blind Traditional Massage and get yourself a foot reflexology to fix your tired feet. This interesting massage centre employs specially trained blind masseurs to give you a great foot rub and to soothe your senses, while providing jobs to those who are less fortunate. Subang’s hip and trendy culture has translated into a galore of chill cafes great for those who like to cafe hop. Tryst Cafe is no exception to that! 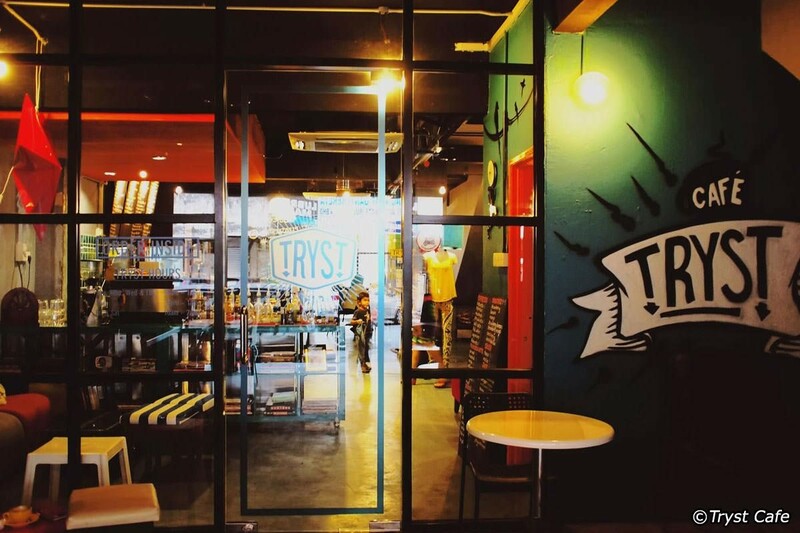 Armed with a rugged, retro decor that would please any skinny-jeans-and-plaid-shirt clad hipster, Tryst serves house brewed coffee with artisan latte art, hearty savory dishes, as well as some delicious dessert options like banana and chocolate sauce over french toast, and yummy pancakes to satisfy your sweet tooth. Ready for supper? Be prepared to be spoiled for choice in SS15’s Asia Cafe. 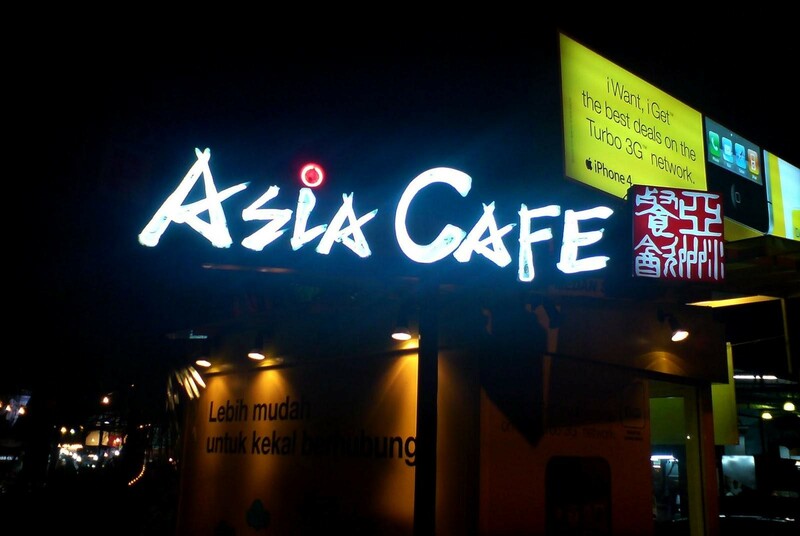 Strategically placed in one of Subang’s busiest districts, Asia Cafe offers an array of different food and beverages. From Chinese to Indian to Japanese food, you’ll be able to sample just about any cuisine in this food court. Mostly open air, this place is a favorite hangout spot for budak Subang Jaya, especially those who are looking for a good place to chill with cheap and yummy food. Try also visiting Asia Cafe when there is a football match going on – the atmosphere is priceless!